Akbar is an entrepreneur, philanthropist and principal within the Sheikh Holdings Group. He has over seven years of experience working in the Real Estate division, leading a team of professionals responsible for the strategic development and asset management of a diversified property portfolio. Akbar has been instrumental in delivering over £120m worth of investment and development projects across multiple sectors including Residential, Commercial and Industrial-logistics. He was recognised by Ernst and Young as the Next Generation Entrepreneur of the Year in 2014 at their global awards in Monaco. Prior to joining the Sheikh family office, Akbar worked for KPMG within their advisory business, specifically for the Corporate Finance and Transactions Services teams. Akbar completed his undergraduate degree at the University of Warwick, studying Engineering Business Management, and then completed further studies in Entrepreneurship at the Wharton Business School and the China Europe International Business School. 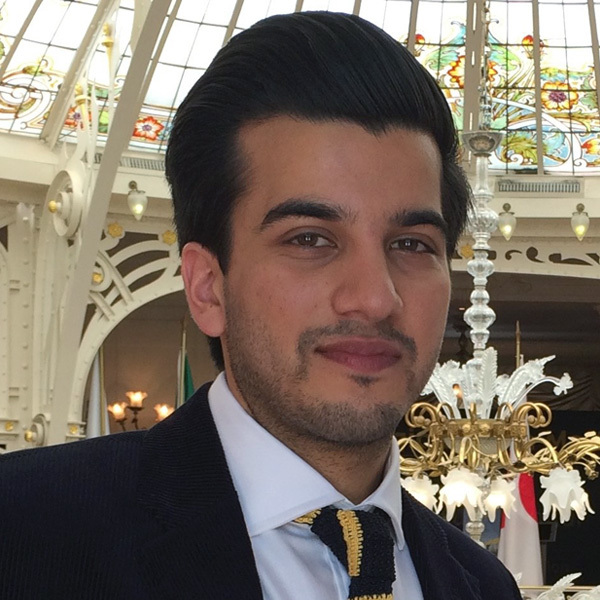 Akbar is currently studying for a Master’s degree in Real Estate at Downing College, University of Cambridge. Akbar takes a keen interest in philanthropic activities and works with many charities to deliver high-impact projects that have long-lasting social and economic benefits for communities, both in the UK and abroad. Akbar holds various positions within a number of charitable organisations. Most notably, he is a Trustee of the Cosaraf Charitable Foundation and Enterprise Fellow for The Prince’s Trust.